Here in Michigan, when Spring comes, a lot of people are looking to figure out what they want to do outside because we have been cooped up all winter.We work on the landscaping. 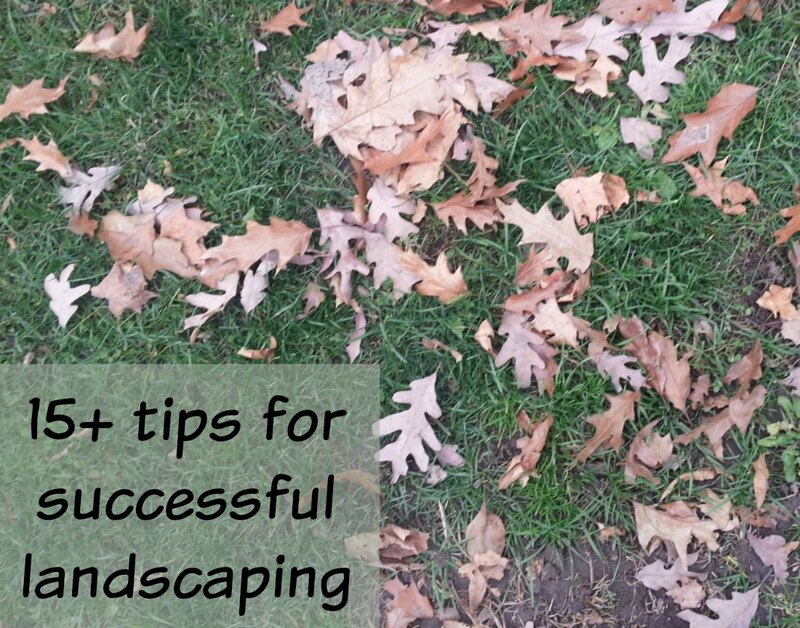 If you haven’t evaluated your yard, you will want to take these tips into consideration. I’ve captured our successful landscaping tips. Make a plan, set a budget. You don’t have to buy everything in one season, but you can make a plan on what you want and work towards it as money allows. Don’t plant trees next to your house. This can cause damage to the foundation as the tree grows and could eventually damage your foundation. Waterproof your house foundation. If you are putting plants next to (or near) your foundation. You want to water the plants. Watering the plants, could cause the water to run into your foundation (or basement) and then it could leak. Causing a damp basement. ways into your home. Keep this in mind if you or family have allergies. plan out what colors you want for flowers outside BEFORE you go and buy them. Variety is good. before you plant, put taller plants in the back or you’ll never see the other beautiful flowers. get flowers for many seasons. This allows you to have color coming and going Spring to Fall. Grade away from your home. Our eves trough has made a mark on the ground so we can see where the water overflows. The grading goes towards the house. We have had to add clay soil to regrade the away from the house. We then added plastic up about 6 inches of the foundation, secured with rocks to hide the plastic and add mulch that grades 6 feet out and away from the house. 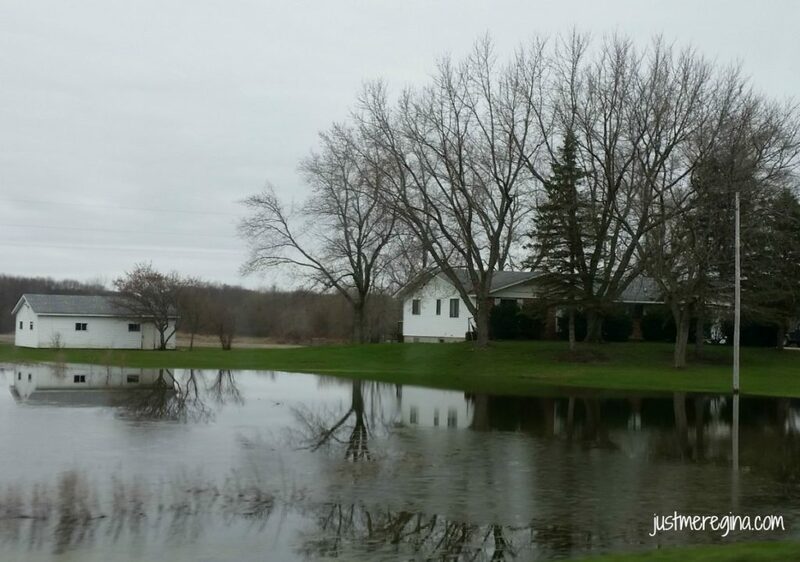 Standing water is not good in your yard. Again the grade may need to be adjusted, tiles put in or maybe its just creating a beautiful dry creek bed that consists of larger rocks (3-4″ size) that is dug down to divert the water into a small drain that goes under ground or possibly into a drainage ditch (check local laws for approval), pond or other lower lying area. Clean culverts. Ensure your culverts are cleaned and not blocked. This will allow rain water to go where it is supposed to. Standing water is an invite to mosquitos. Keep water away from your house. un your eves trough downspots into the ground into a basin away from the house. This keeps the water from pooling around the house and draining into your basement. No one likes a wet basement, especially if it’s finished. Select the plants right for your yard. Decide where you might want them to go. You want to read the tags on the plants for their care, size they will grow (or read up online). If you don’t have a lot of time, you won’t want to get plants that require lots of pruning and TLC. Plants need to be in the right location. 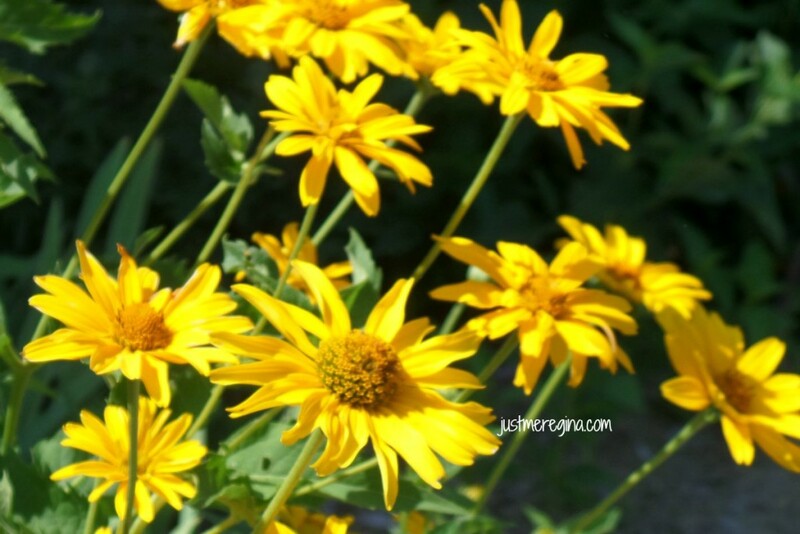 Sunny plants in sunny areas and keep those shady plants in the shade! Plant at the right depth, read that darn tag on it for are BEFORE you buy it! Don’t over plant your yard. You don’t want to look like the crazy plant lady (or man) no more than you want to be know as the crazy cat lady. Balance out what you should have and make it look nice. Too much and you’ll over burden yourself with lawn care. Unless you hire it out! Grow grass, where it is easy to mow. I don’t like weed wack, so I like to have rounded lines when I’m mowing so I don’t have to go back and weed wack. If you don’t want to mow a lot, consider making a flower garden, rock garden, a path way with rocks….be creative! Landscape (mow) at the right height. Too low and you’ll scalp the grass and it may turn brown, die and you’ll have no lawn. Mow to high and you’ll be mowing more often than you want. Give trees a chance. If you are planting trees, read the darn tags that go with them (need I say this again?)! Do they need more than 1 or a different species to pollinate? Asking the workers at the nursery what the plants need is a good source of information. Shop at nurseries for plants and trees. These people know their plants and trees and can help you with your landscape needs. Plan ahead. Just like puppies and kittens, plants grow. These itty bitty cute plants will get bigger. Did you not read the tags on those plants yet to tell you how big the plants and trees are going to get? Ask questions at the nursery. Light it up. Don’t just enjoy your landscaping efforts in the daylight. Consider putting in lights to enjoy it at night as well for yourself and entertaining. Curb the critters from the all-you-can-eat buffet of your yard. Consult the nursery or read up online on how to get rid of the rodents. Weed and maintain your yard to keep upkeep down. A little a time is easier than trying to manage an over grown mess. What are you waiting for? No time to start like the present!